It may not be a well-known fact, but Australians actually have one of the highest levels of personal debt anywhere in the developed world. There are plenty of advantages to living here in Australia. From the climate to the landscape to the standard of living, there is a multitude of reasons behind why Aussies are often ranked as some of the happiest in the world. But that happiness – and the consumer behavior that all too often underpins and drives it – comes at a cost, and that cost is a high level of personal debt. It may not be a well-known fact, but Australians actually have one of the highest levels of personal debt anywhere in the developed world. Credit of all sorts is widely available here, and with some analysts suggesting that the Australian housing market is primed for a crash thanks to overgenerous mortgages, there’s a real risk that the debt crisis may be spiraling out of control. 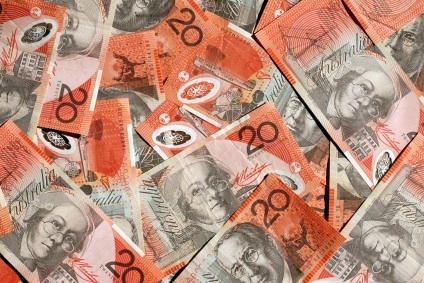 Payday lenders, credit cards and car loans are all very common in Australia, and there’s a risk that the use of these debt generators may be about to cause significant economic damage. If the idea of too much personal debt sounds familiar, it’s wise to get informed about the wider picture. Before diving into the issue of how Australian household debt shapes up compared to the rest of the world, it’s worth noting that it has not always been easy in recent years to work out the exact level of Australian household indebtedness. That’s because the metrics are a little complex, and they don’t always take into account the vast range of credit products available on the Australian market. Recently, for example, the Australian Bureau of Statistics said it was in the process of carrying out fresh calculations on the total personal debt level so that the impact of debt from self-managed super funds (a form of retirement savings) can be taken into account. As a result of this, the Australian Total Household Liabilities level went up by around 3% – and while that may seem small, the fact that it rose to $2.466 trillion shows that the precision of calculations here is very important. Assuming for the sake of argument, then, that the statistics available are accurate enough to be used as effective comparisons, Australia stands out notably when it comes to comparing debt levels elsewhere. According to data from the OECD, Australia’s household debt level as a percentage of net disposable income sat at 203% in 2015. It was surpassed only by a few other developed countries, including Switzerland (which scored 213%) and Denmark (which was the highest, at a huge 293%). Australia also scored much higher than the USA – the home of the subprime mortgage crisis – which had a score of 110%. It was over 100% higher than some of the major European economies, including Italy (at 88%) and Germany (at 93%). As discussed above, the exact amount of Australian personal debt is a little unclear, but the chasms between Australian household debt and that of other western nations shows that the levels are high even when allowing for a margin of error. Personal debt is a complex beast, especially in Australia, where many people are struggling with the day-to-day cost of living. Borrowing in order to smooth out financial peaks and troughs is not all bad, of course. In some circumstances, it’s a way for people who wouldn’t otherwise be able to access products and services to manage their cash and enjoy the benefits of these items upfront. But here in Australia, personal debt has also taken on another pressing and important characteristic. It’s shaping up to be a prominent national economic problem, and the impact it could have on everything from the housing market to the personal financial lives of many Australians is profound. As a result, it may be time to take a long look at Australia’s place in the global debt market and re-evaluate the impact that personal and household borrowing is having on the country’s continued financial security.